Vincent Turner is Founder and Chief Innovation Officer of Uno Home Loans. He has been in fintech his whole working life, starting way before the term fintech was coined. Vincent spent five years in Silicon Valley, as Founder of fintech Planwise. He founded the valley’s fintech Meetup group and made the Forbes 50 list. 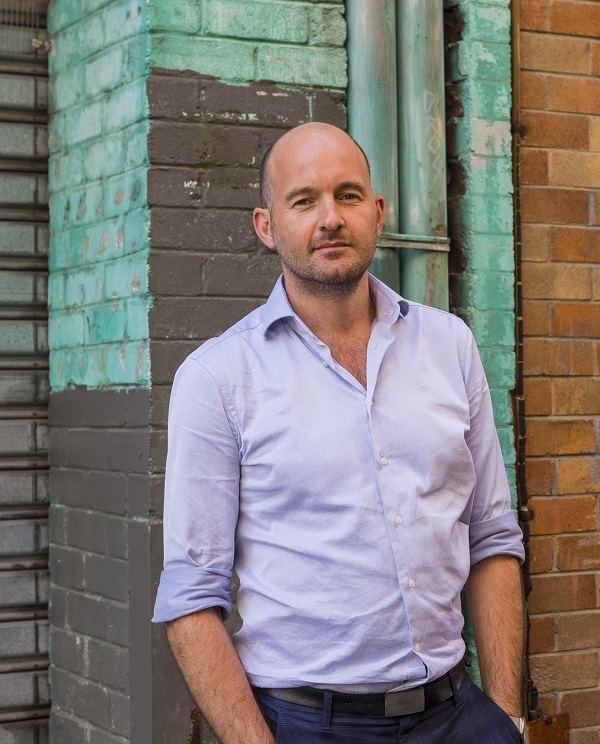 Vincent is also one of the few fintech founders in Australia to partner successfully with a Big Four bank. Dexter Cousins of Tier One People caught up with Vincent where he shared his unique story and perspectives. uno is Australia’s first online mortgage broker. Our role at uno is to help customers narrow a universe of home loan options down to the right choices and empower our customers to make better decisions through technology. The relationship between the bank and the aggregator hasn’t fundamentally changed in the last 20 years. And we saw an opportunity. A different value proposition aimed at people who are digitally savvy and want to see all their options for themself, in the palm of their hand. They want help with a home loan without face-to-face contact with a broker. That was a small amount of the market three years ago and it’s a significantly growing market now. uno caters to this market with an online platform where customers can compare their home loan options from 20+ lenders, paired with expert advice from a team of home loan experts via phone, text, email and chat six days a week. Can you describe the culture of UNO? In an early stage business you need people who wear lots of hats, pitch in where required and who can be generalists. If you are coming into uno as an employee with an attitude of “I’m a really good analyst.” That’s great. But we need someone who’s a good analyst, who can learn in a new industry and is trying to do things in a new way. Most of the people who’ve been successful at uno have been adaptable and have a ‘one team’ mentality when it comes to getting the job done. They thrive on the challenge, and they’re hungry. Changing an industry isn’t for the faint hearted so the team at uno are very passionate, are hungry for success and push themselves to do and be more every day. How did you get started in fintech? My background is in enterprise software and I will happily never do enterprise software again. I left university in late 1999. I dropped out of a commerce degree to launch a tech company with a mate from high school. We had a provisional patent on a text messaging software and started selling it to real estate agents. A year later we raised a million dollars, and then two months after that, the whole tech bubble burst. We found ourselves with a messaging platform, with revenue, with customers, with money in the bank and no market for our capability. So, we pivoted into mortgages and built an enterprise mortgage software company. We managed to grow the business to a point where 90% of the banks in Australia used our software. I was only 25 years old at this stage. It sounds life changing but I was doing something I was no longer passionate about, solving the wrong problem, with the wrong team. So I stepped back over the space of two years with a view to seek out new opportunities. You went on to become a fintech pioneer in Silicon Valley. How? I took her advice and moved to San Francisco in 2010, on a whim with no real idea of what I wanted to build. I just knew I wanted to build something consumer facing. When I got to San Francisco, I bought four pairs of orange thongs, to remind myself to only work in a job where I could wear them to work occasionally and to never start an enterprise software company again! We were going through the GFC, I anticipated a response from the US government, with massive regulation of retail financial services. I felt there was a big opportunity to build better consumer facing financial technology. During the four years in Silicon Valley we had taken part in the accelerators, raised capital, and made the Forbes 50. We were hitting all the ‘vanity’ metrics, but I was feeling disenchanted. Planwise had a great product with good engagement, but the only viable business model we could find moving forward was the enterprise software model. I was back where I started! To my mind, there are two different types of fintechs. A tech company in financial services or a financial services’ company powered by tech. I began thinking that we needed to be the latter. All the companies who were ‘winning’ big (Personal Capital, Wealthfront, SoFi, Robinhood etc) were financial services companies, who used tech to power their proposition to customers directly. We had to make a big shift for something to change. Vincent Turner – Founder of Uno Home Loans and a true FinTech pioneer. Why did you decide to choose Australia for Uno? From my time in the Valley I learned if you are to build a consumer led fintech, it needs to be well capitalised. I was presented with opportunities in Australia and the US. I looked at Australia and realised fintech was becoming a real industry down there. Starting a fintech in Australia is much easier than in the valley, Fintech is just another one of the ‘Techs.’ Every tech vertical has weight and velocity in SF. The challenge launching a fintech in San Francisco is the lack of a financial services’ scene and support for early stage fintech ventures. At the time I was there, there wasn’t a single Fintech accelerator. There still aren’t many today. I was running the Fintech Meetup in San Francisco which was the largest Fintech gathering in the city. Around the time I was deciding on my next move, I met Reinventure through the meetup group. They suggested I talk to Westpac and I had the unusual situation of being reintroduced to my old customer. It was a strange experience, as they had a very clear view on the opportunity in the market and had well articulated this. Why did you decide to partner with Westpac? The benefits of partnering with Westpac have been clear from the start. Australia is such a small market in comparison to others, so fintechs have very little chance of success unless they partner with a big bank. That’s my observation based on experiences in the US and Australia. Obviously, Westpac bring capital to the business, and a financial services fintech must be well capitalised. But they also bring credibility, access to partners and expertise in risk and compliance. Westpac is a partner strategically committed to innovation and could see a real opportunity in a digital-first mortgage broking proposition. Mortgage brokers account for a significant percentage of mortgages written in Australia and uno presents a different way of approaching the opportunity. The business model of mortgage broking is still very traditional but uno presented an opportunity to modernise it and make the process digital. In January 2016 we completed the transaction. Then we gave ourselves six months to hire a team, going from three people to 35 people at the time of launch in May 2016. We created a brand from scratch and didn’t have a name until March. We had to build front end platforms across web, mobile web, iOS and Android, plus the service platform. Agreements had to be set up with all the lenders, including pitching all of them and going through the direct accreditation process. We got a lot of lenders on board. With Westpac backing us plus the industry reputation and calibre of the people we had in the business, they could see we were serious. Why has uno appointed a new CEO? Bringing in a new CEO when the business matured and we were set to scale had been discussed since before uno began. I led uno for the first couple of years because the initial challenge in a fintech is always product development. My biggest passion is product innovation and figuring out “what works” for the customer. And I also know how to build deep digital experiences for mortgages and quickly get this to market. With the business passing the two year mark, it made sense to transition to appointing a seasoned financial services executive to run and scale the business. We recently appointed Anthony Justice, who has a ton of experience in retail financial services and previously led IAG’s Australian Consumer Division. He is an amazing people person and an amazing leader. Having someone with Anthony’s background joining as CEO has been fantastic for the business and will set uno up to reach our goal of taking a significant share of the mortgage broking market. And it has freed me up to focus on product innovation and reimagining the customer experience. We are progressing at a rapid rate and have some exciting developments around the corner. What does the future hold for Uno? In the last three or four months we’ve taken a big step forward, there’s been a discernible shift in the customer experience. Our focus is on velocity, the version of the platform you see today, will look different in two weeks. Not the whole platform, isolated areas, where we see customer friction or customer inactivity. And that is both on the customer interfaces and with the service team. We are looking for the moments where a customer isn’t taking the action you want them to. And then we will ship three versions and see how results are affected. Uno aims to be a fully automated and frictionless experience. The typical customer takes about two weeks to get from initial query to lodgement. We are focused initially on shrinking that to days and then hours of time. The power is shifting from enterprise to the consumer and that’s going to continue. Customers empowered by technology will ultimately make decisions based on convenience, choice and price. There is a huge opportunity for marketplace models to win the trust of customers, if they provide the right advice, a compelling experience & proposition and the widest range of products.